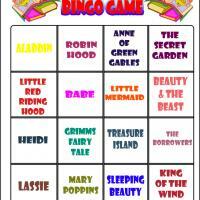 This is the fifth card from our 8 Love to Read themed bingo cards. Your little kids will have fun playing the group game bingo and remembering their favorite characters from these children's books. Don't forget to also print the tiles with this theme.